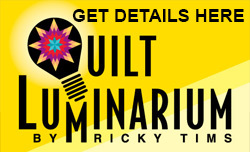 I leave today for the Ricky Tims' Whoo-hoo Nation World Tour! I am currently sitting at the Denver International Airport having a bite to eat at Panda Express before passing through security. Keep checking back here to see what I might be up to over the next 57 days. Is that close enough to say "two months?" Next stop - Aschaffenburg, Germany! 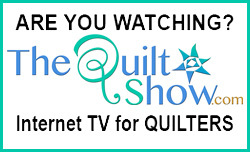 Let's here a big Whoo-hoo from quilters worldwide!! 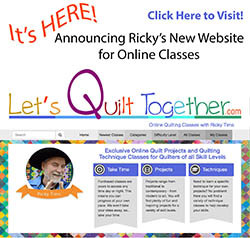 Thanks for all your tips about the quilting. I enjoyed your show, thanks. Come to Lake Baikal coffee. Invite. Have a safe trip. I'll be in Edegem, Belgium for the lectures! See you soon!! Have a great trip. If you see Rimma in Moscow please say Hi from Canada to her and all the quilters. They did a exhibit in Canada with us in 2007. Ricky, do you have room in your luggage for me? I will even carry it for you. Lol. Have a great trip. See you in Prague, CZ, Ricky!